I managed to check out the AMD photo exhibition at Khoo Teck Puat Hospital, Singapore just before it ended on 3 September. Held in conjunction with AMD Awareness Week, the exhibition featured photos by Mr Adam Hahn from Scotland. 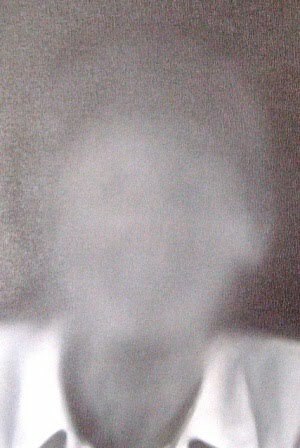 The concept for these photos was a result of seeing his grandmother grapple with AMD, unable to explain her peripheral vision to those who asked. 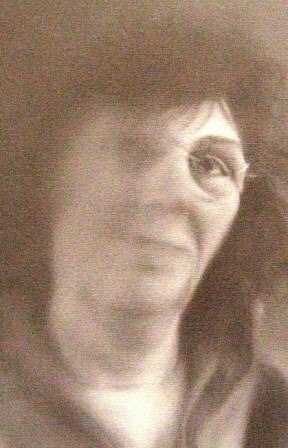 He took portrait photos and digitally manipulated them to reflect how people looked through the eyes of someone with AMD. 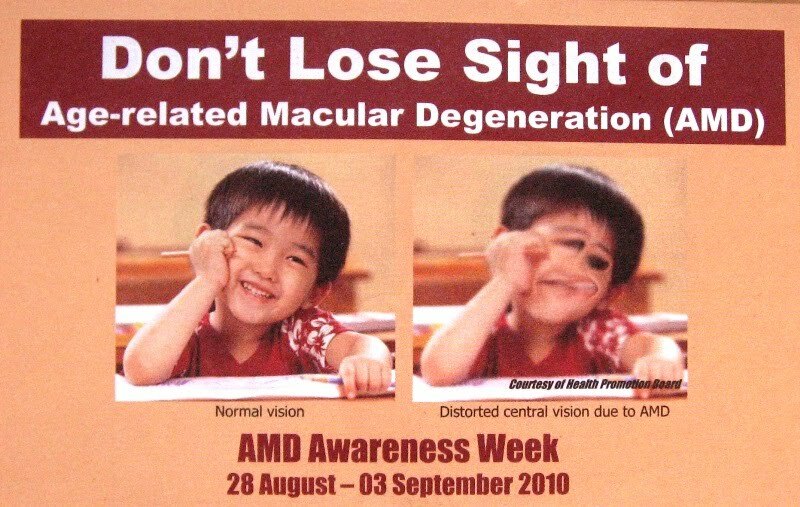 The photos give us a better understanding of how AMD patients see the world around them. 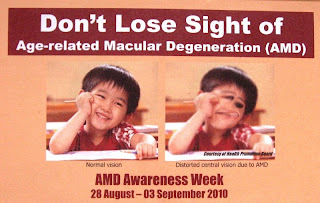 Various stages of AMD vision. 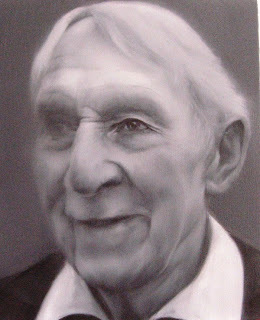 Portraits by Adam Hahn. If your elderly parents complain of poor vision, they may need more than a pair of glasses. 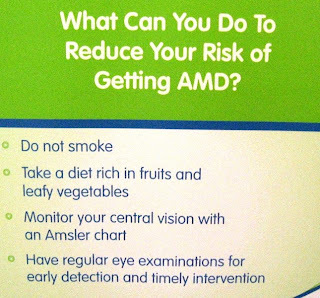 An eye screening will confirm if they have AMD. 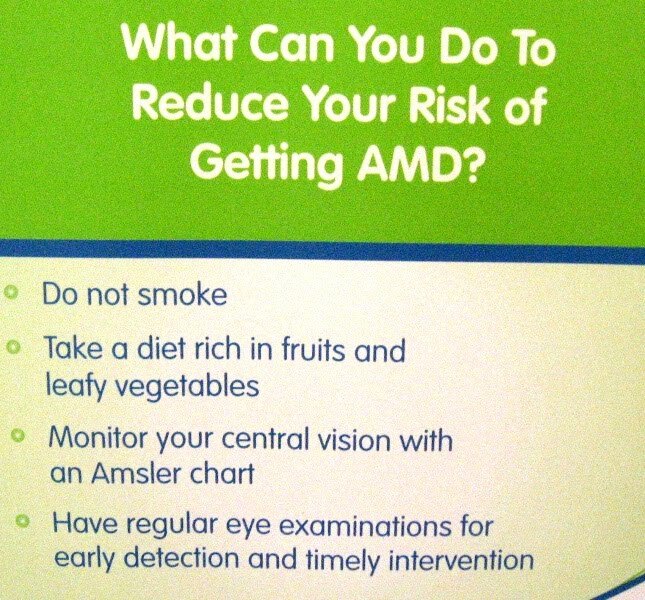 For more information about AMD, do read this excellent article in The Times.